Shimla: Celebrating four years of Narender Modi led Union Government, Himachal Pradesh Chief Minister Jai Ram Thakur today launched three ambitious schemes for welfare and development of the State. 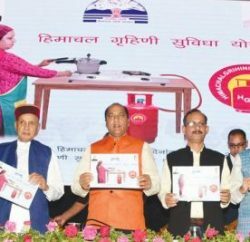 These schemes are ‘Jan Manch’, for redressal of public grievances in an effective manner, Mukhya Mantri Swavlamban Yojana, aimed at providing assistance to the youth of the State for starting their self-employment ventures and Himachal Grihini Suvidha Yojana, for ensuring women empowerment and environment conservation by providing gas cylinder security and gas stoves to the women who were not covered under the Ujjwala Yojana launched by the Government of India. Speaking on the occasion, the Chief Minister said that all these schemes launched here today on the occasion of the completion of four years of the Union Government were bound to bring remarkable change in the lives of the people of the State. The Chief Minister said the ‘Jan Manch’ would go a long way in prompt redressal of public grievances. He said that this programme would not only ensure that the schemes launched for the welfare of the people were completed well in time, but also ensure that the desired results were achieved. He said that ‘Jan Manch’ would be organized Vidhan Sabha constituency wise and it would be ensured that this was organized in far flung areas of that constituency so that people living in far flung areas get opportunity for redressal of their grievances at their door steps. He said the ‘Jan Manch’ would be held on first Sunday of every month. He said that Ministers and elected Government representatives would ensure their presence in the meetings along with the officers of every department. 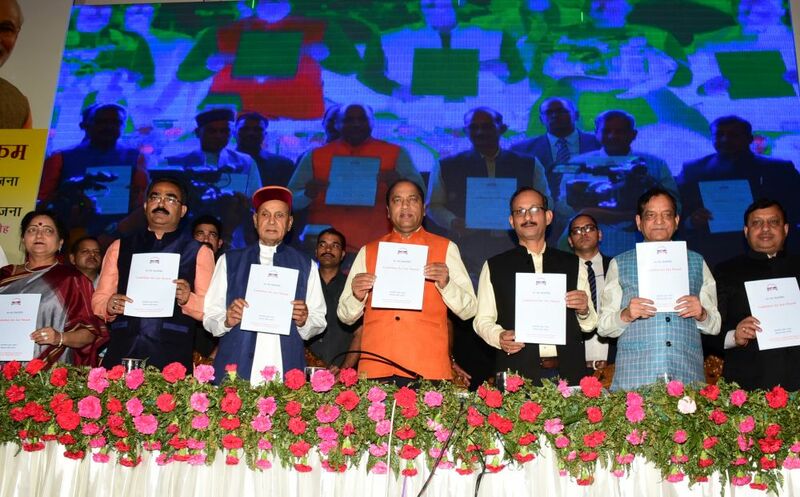 Jai Ram Thakur said that the ‘Mukhya Mantri Swavlamban Yojana’ would provide self- employment opportunities to the youth of the State. He said that youth between the age group of 18 to 35 years would be provided 25 per cent investment subsidy for purchase of machineries and inputs on loan amount of Rs 40 lakh. He said that for women this subsidy would be 30 per cent. In addition, 5 per cent interest subsidy would be provided for the period of three years, he added. He said that the ‘Himachal Grihini Suvidha Yojana’ was aimed at empowerment of women and environment conservation. He said that women would be provided gas connections and it would ensure gas connections to all the households which have not been covered under the Ujjawala Scheme. He said that a package of Rs 3500 would be provided under this scheme which would include gas cylinder and gas stove. He said that with this, Himachal Pradesh would become first State of the country with every household with smoke-free kitchen. Chief Minister interacted through video conference with the people of different parts of the State regarding redressal of their grievances. He also launched the Guideline booklet on ‘Jan Manch’ scheme on the occasion. He also released the guideline booklet on Mukhya Mantri Swavlamban Yojana. 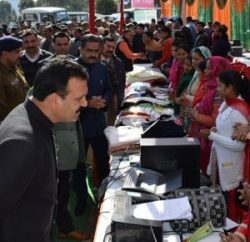 He also provided documents of gas connections to the beneficiaries under Himachal Grihini Suvidha Yojana on the occasion. Former Chief Minister Prof. Prem Kumar Dhumal lauded the functioning of the State Government. 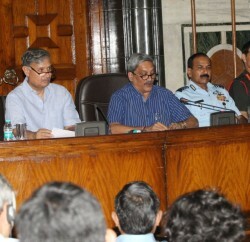 He also appreciated the endeavours of the State Government for initiating 30 new schemes for the people of the State.